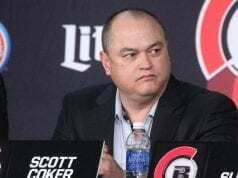 Scott Coker addressed Ryan Bader defending both the Bellator light heavyweight and heavyweight titles. The last defense of the light heavyweight title under the reign of Bader came back against Linton Vassell. 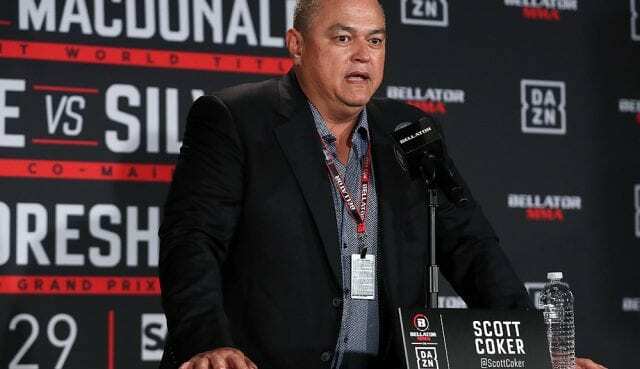 It saw him win the fight by strikes and that took place at the Bellator 186 event on November 3, 2017. 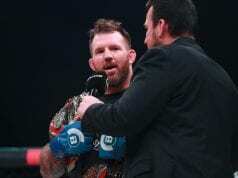 Bader finished Fedor Emelianenko to win the vacant Bellator heavyweight title at Bellator 214 on January 26, 2019 at The Forum in Inglewood, California on Paramount Network and DAZN. After the event, Coker spoke about the problem that comes along with a fighter being a two-division champion. In this case, he’ll not make the call whether Bader decides to defend both. Instead, he’ll leave it up to the fighter who earned this opportunity. “That’s going to be up to Ryan as long as we don’t have the light heavyweight (title picture) being jammed up,” Coker told MMAjunkie. “If Gegard (Mousasi) – because he told me he wants to move up and Lyoto (Machida) might want to move up at some point and fight Bader at 205.